And I’ve been fortunate enough to eat it all over the world – from street food stalls in Bangkok…to Kansas City for STROUD’S cast iron skillet chicken deep fried in lard ……or the Central American sensation, POLLO CAMPERO’s grilled chicken, so coveted by Los Angelenos that prior to its U.S. opening they smuggled it in their suitcases on planes arriving from Guatemala City. 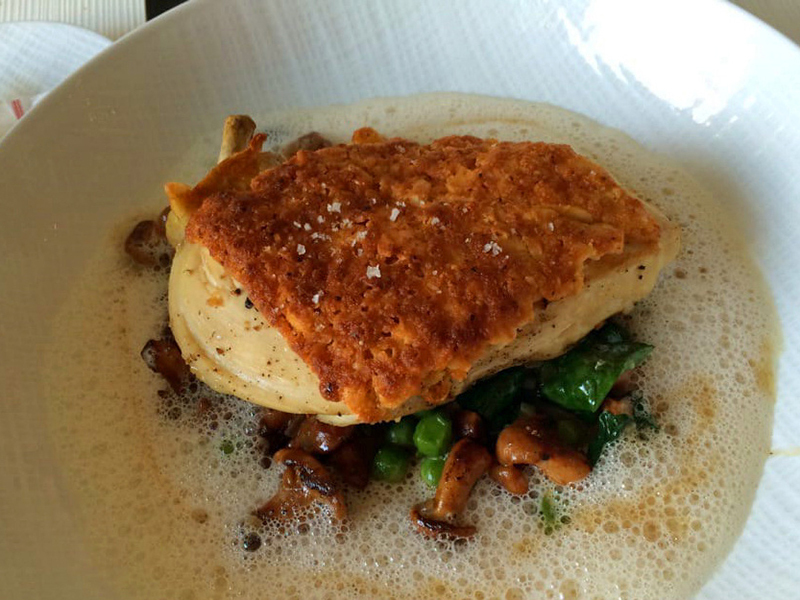 At the other end of the spectrum, I’ve never had better than BRESSE CHICKEN in France…especially when smothered with morel mushrooms, or served whole at HELENE DARROZE in London. 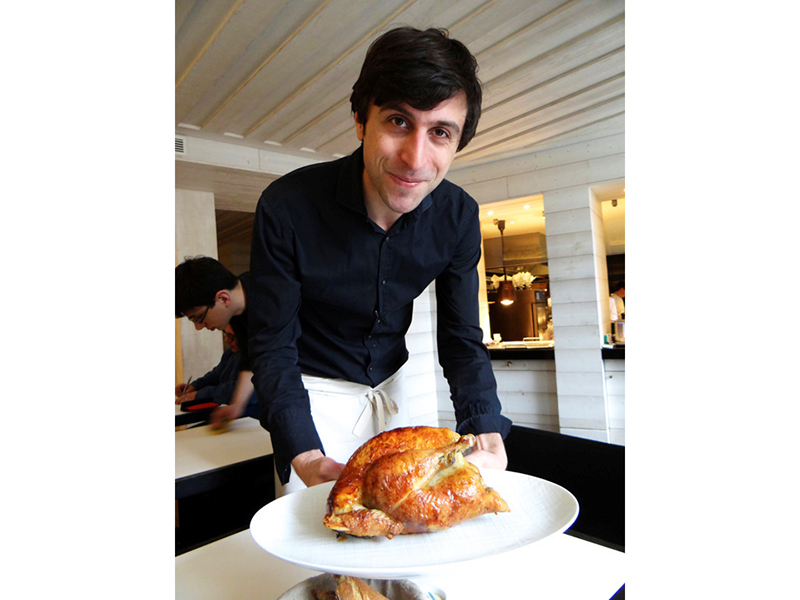 (Not to be outdone, L’Ami Louis in Paris also does a whole roasted bird). Heck, I even like KFC…..and the free range roaming birds fried up in a Sunbeam electric skillet by Joanne’s mother on their farm in Southern Illinois. She always served this with her very simple and simply delicious potato salad……boiled potatoes, onions, whipping cream, vinegar and salt and pepper. The memories still make me salivate (though Joanne wonders if it’s just age-related drooling). So when I now announce that I’ve discovered THE BEST CHICKEN IN THE WORLD, LISTEN UP FOLKS !!! I KNOW WHAT I’M TALKING ABOUT HERE! 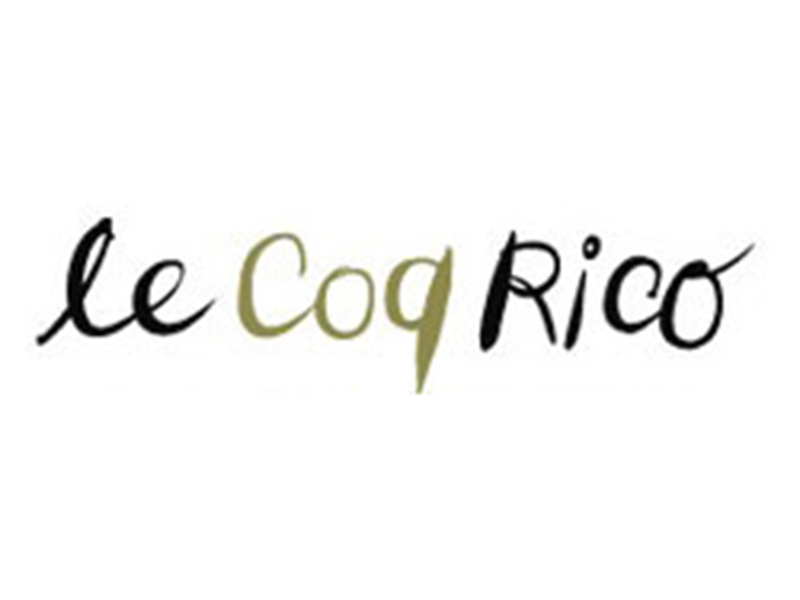 The name – write it down – is LE COQ RICO. 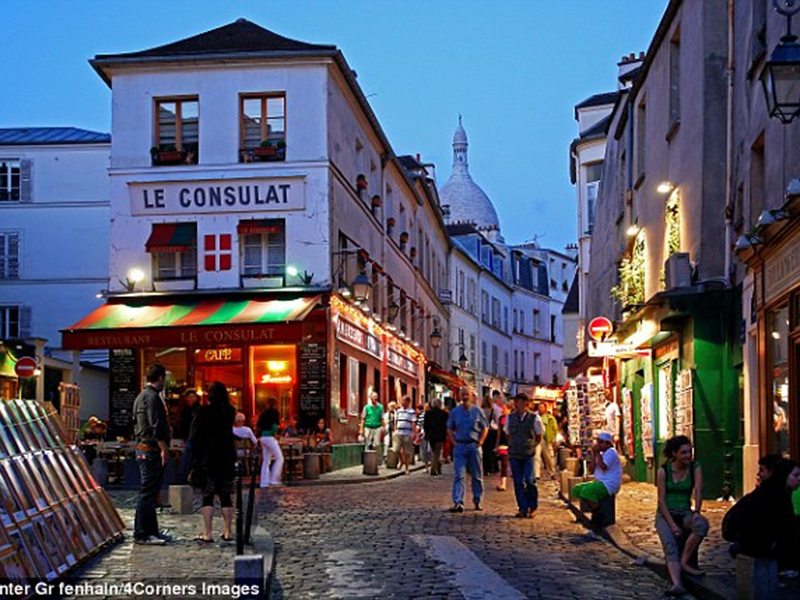 It’s a tiny place in Paris, in the 18th, a somewhat gritty neighborhood under the shadow of Sacré-Coeur cathedral in Montmartre, atop a serious butte where walking guests arrive breathless at the front door. (My advice: take a taxi) …..and it’s not near many hotels. 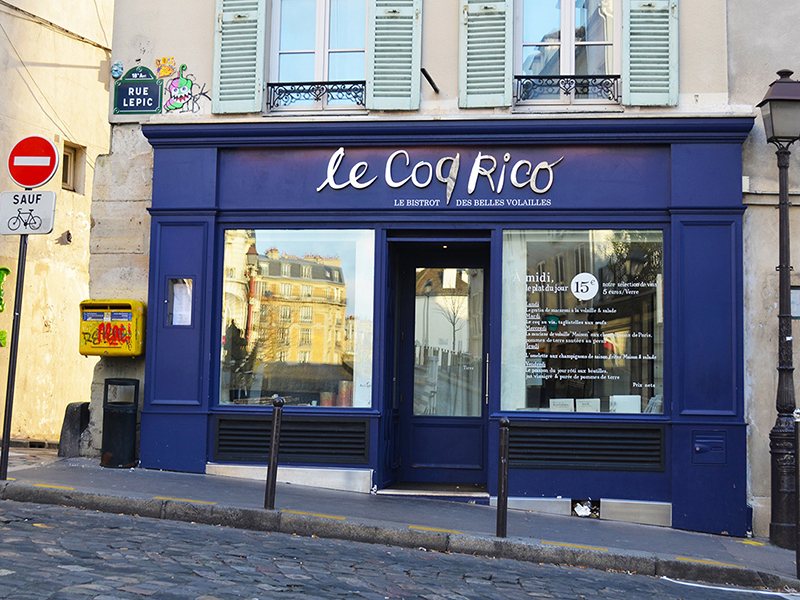 Le Coq Rico is all about rotisserie chicken. 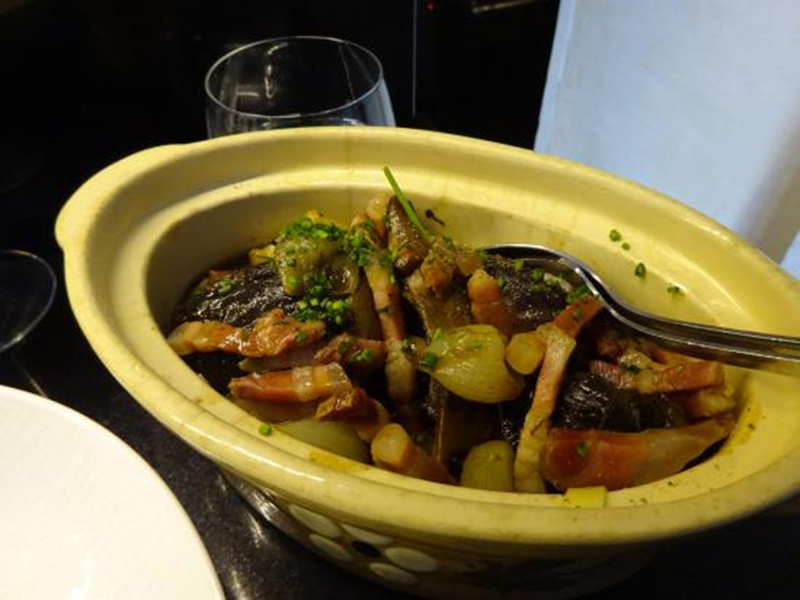 Sure, you can get duck, squab and guinea fowl, too (do you discern a theme here? ), BUT DON’T. On your first visit, you have to get the chicken. You’ll have a choice from a handful of oversized heritage breeds, the kind that are tagged and ribboned in France’s butcher shops. All are great; none have died in vain. 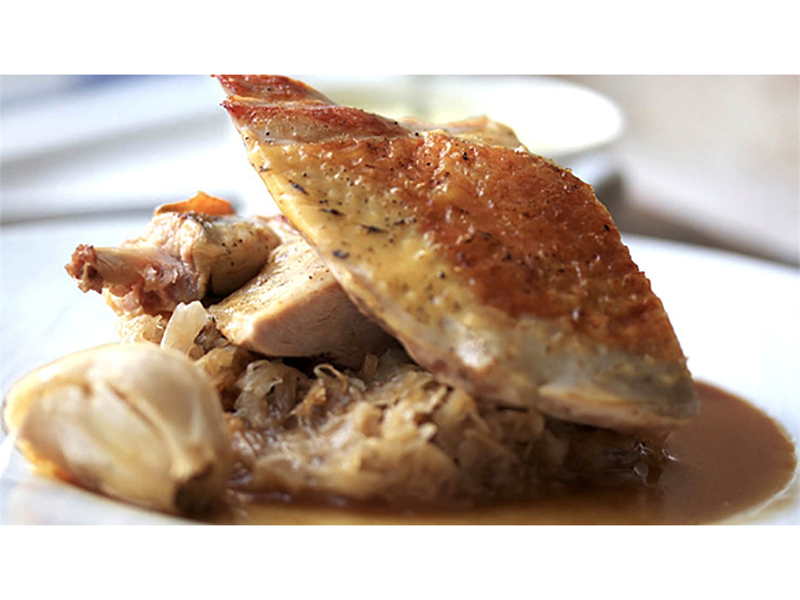 But don’t blow it: Get the WHOLE BRESSE CHICKEN. 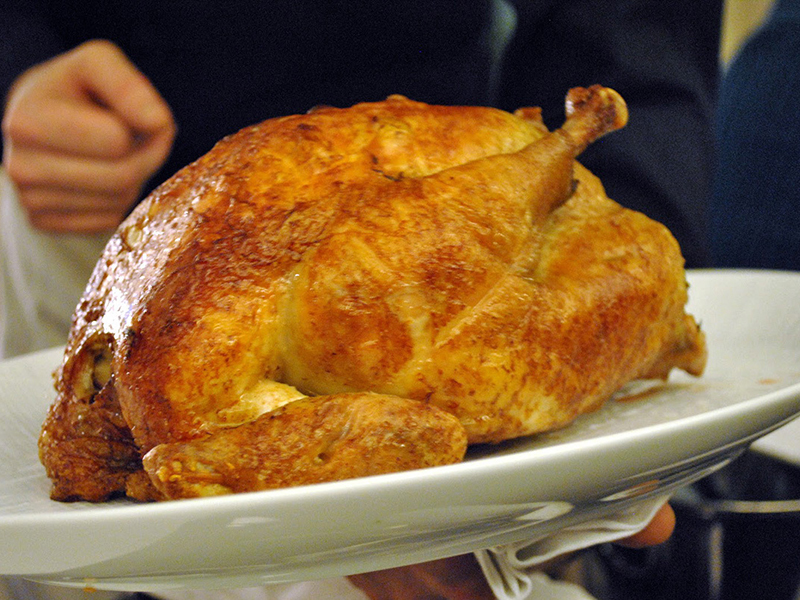 It’ll have the golden crispy skin of your dreams, and the biggest, most “chickeny” flavor you’ll ever have in your life. THIS IS CHICKEN DONE RIGHT. 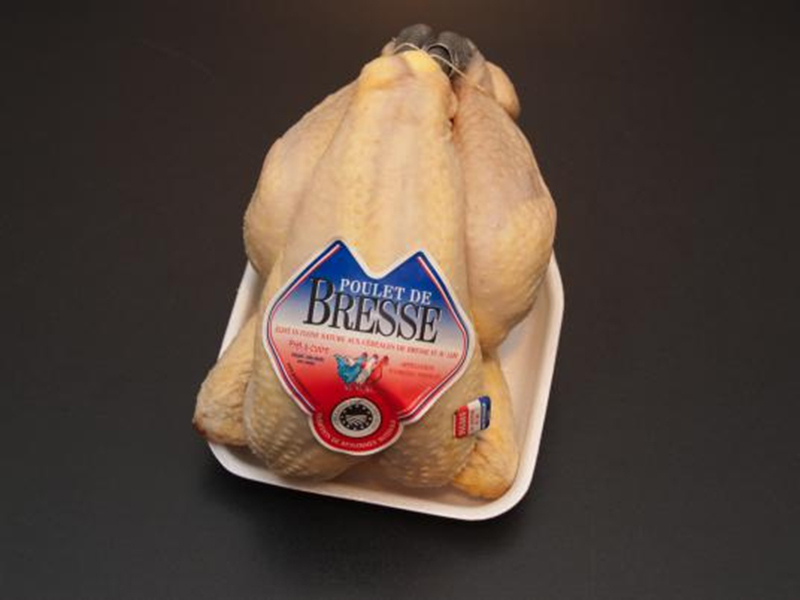 Whole Bresse Chicken - Chicken Done Right! 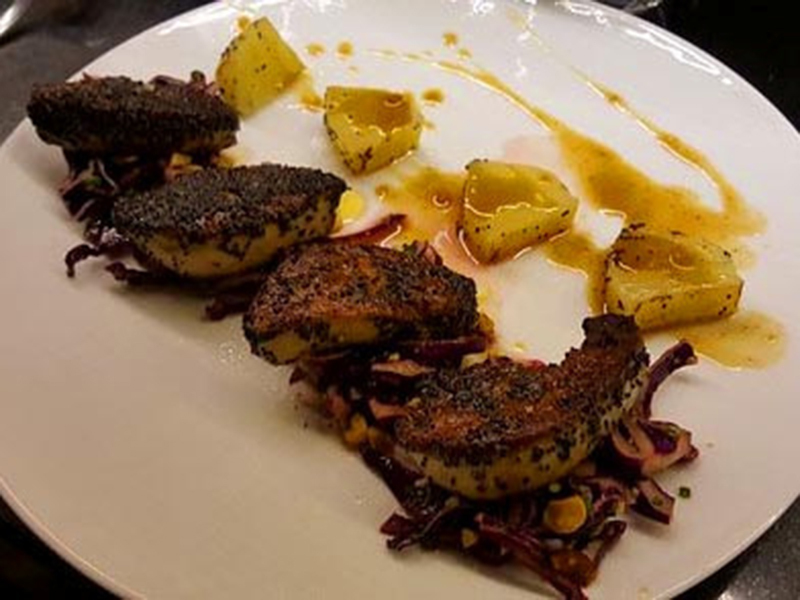 The owner and chef is Antoine Westermann, a three-star chef from Alsace who’s known for his ethical treatment and respect for the bird (the sources and regions of both his eggs and poultry are listed on the menu). 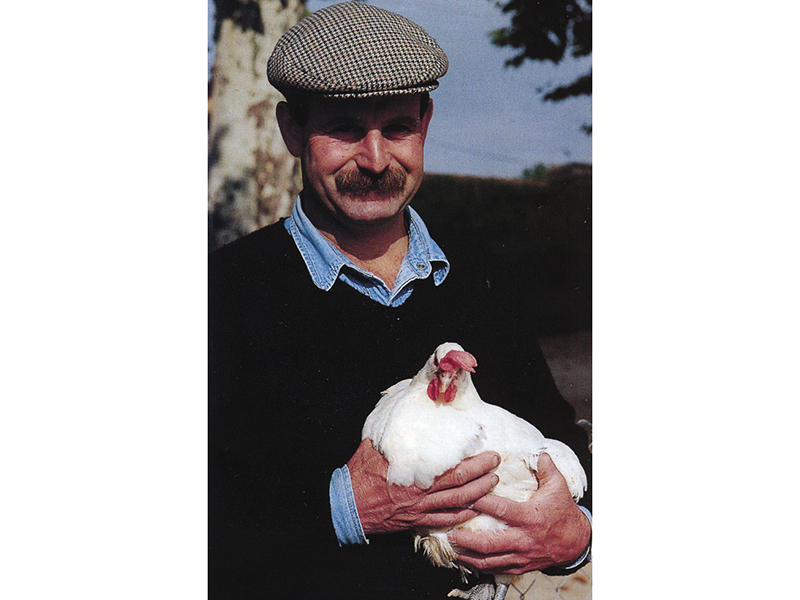 He strikes me as the “FERGUS HENDERSON” of chicken – Fergus focuses on the whole pig … snout to tail. 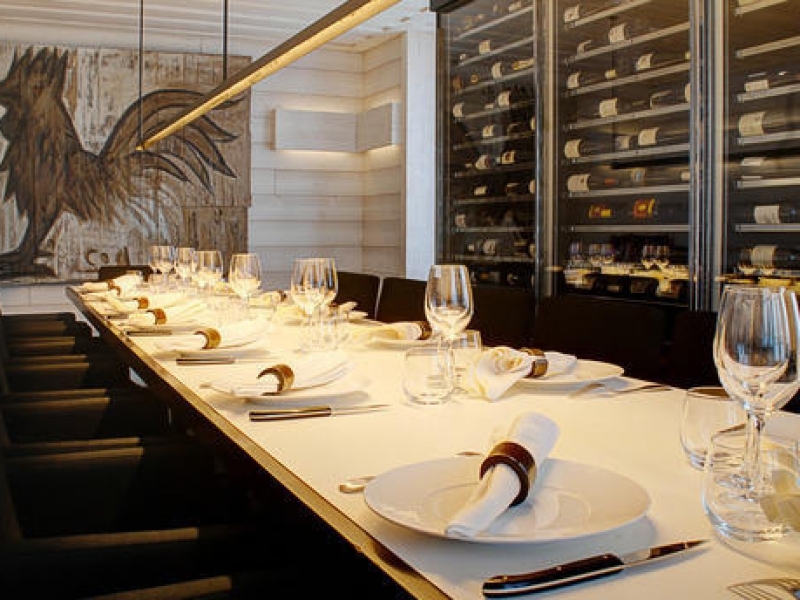 Antoine focuses on the whole bird…beak to innards to feet.” Westermann refers to his restaurant as “THE BISTRO OF BEAUTIFUL BIRDS”. 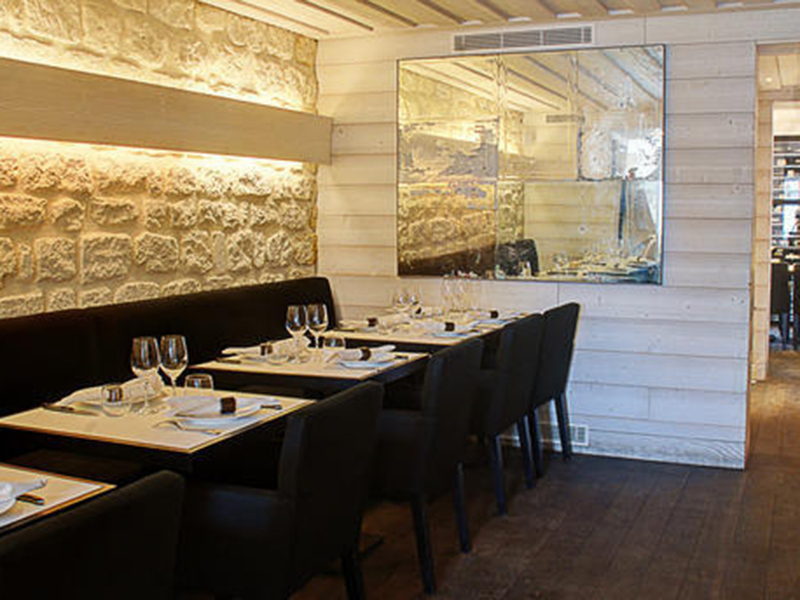 Although the minimalist dining room has regular individual tables, request the long community table in the back of the restaurant, even if there are just two of you. I normally hate that sort of thing, but here I had a great time. OK….here’s my advice: On your first visit, go with at least three or four people. 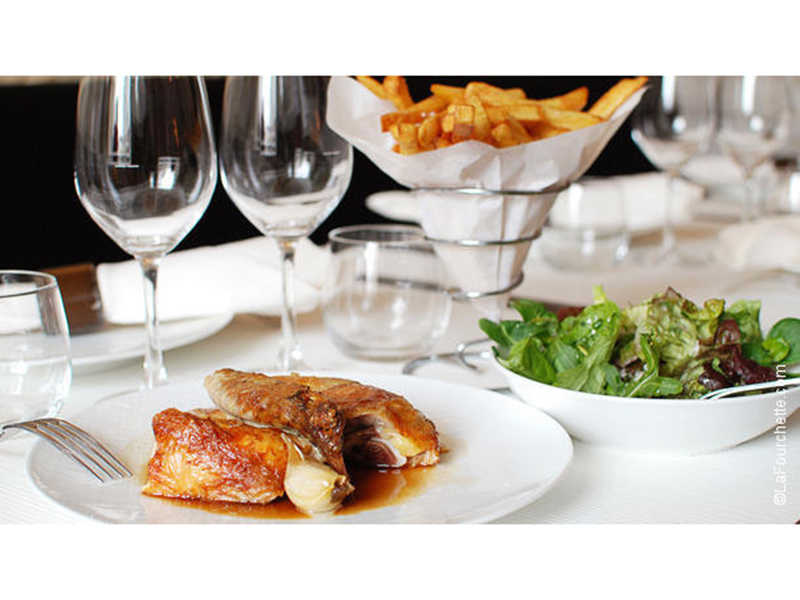 The BRESSE CHICKEN is served family-style, cooked on the rotisserie, presented whole to you for your approval, then taken back to the kitchen, where it’s cut into manageable pieces before being re-presented on a platter. 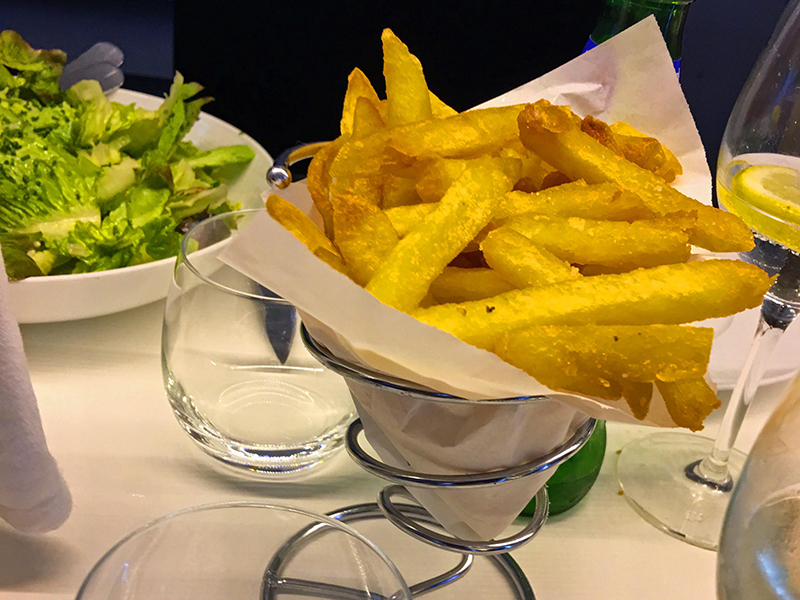 It’s accompanied by mac ‘n cheese, crispy green salad, French fries and (if you wish, but who would?) 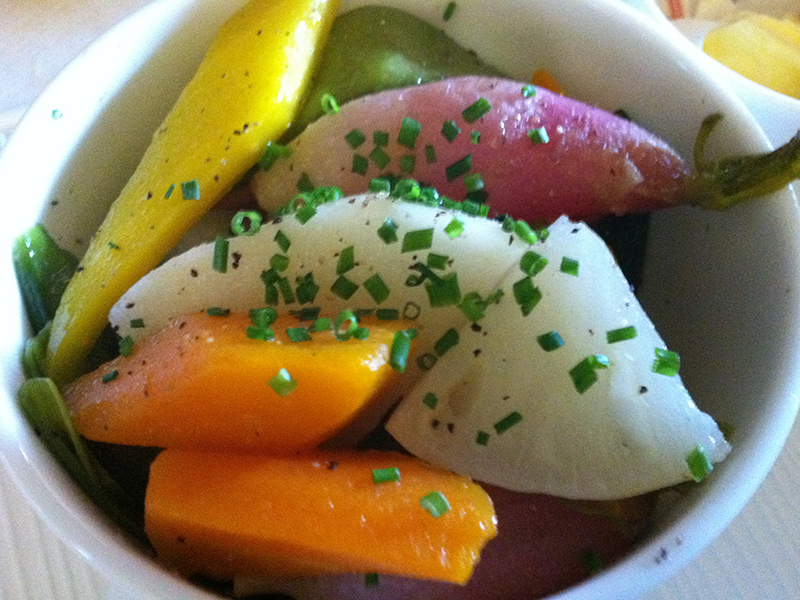 steamed vegetables. It’s 95 euros, and serves three to four people. A BARGAIN. 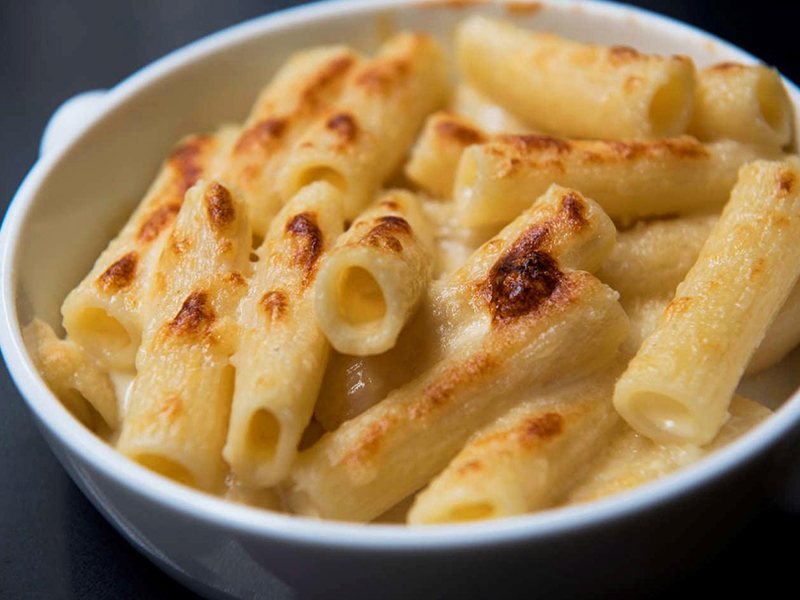 Mac and Cheese - Yum! 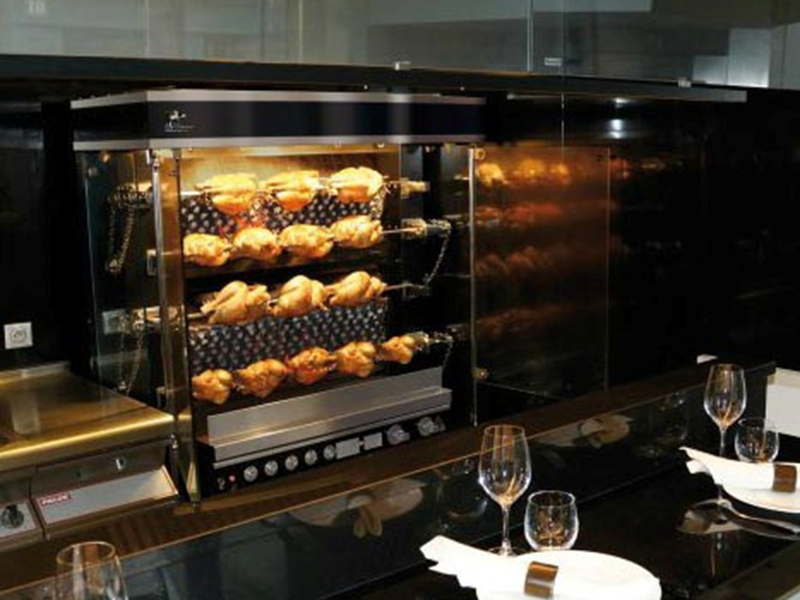 But be warned: All of the chickens are cooked to order……which takes about an hour. But that’s okay, because you can enjoy a parade of starters, all of them delicious, starting of course with eggs – deviled eggs paired with tuna from Portugal…Eggs Muerette, a kind of Coq au Vin with eggs…and a soft boiled egg with salmon roe and crunchy little buttered finger soldiers…delicious…13 euros. 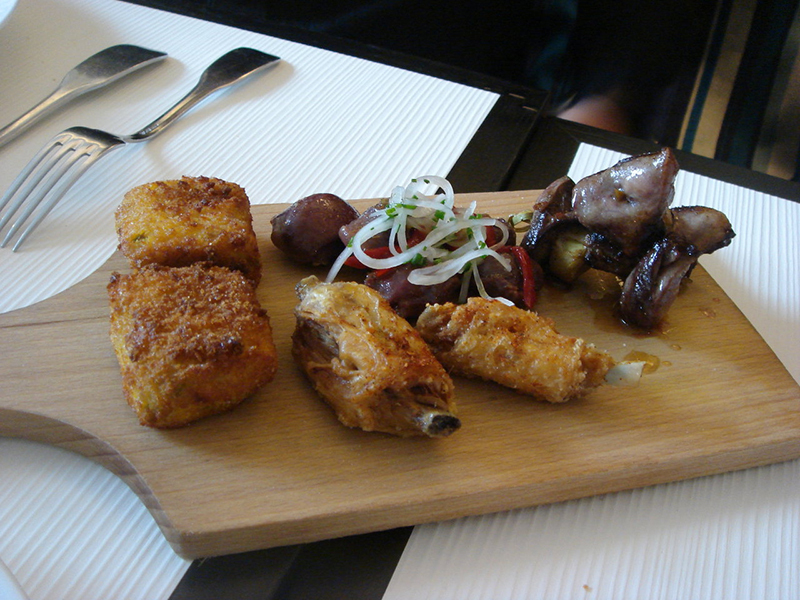 We also shared a deli board of calamari, chicken hearts, chicken livers, chicken wings and duck hearts……(remember, I told you “beak to innards”). Also on the cutting board we saw something called CROMESQUIS….a croquette sort of thing stuffed with pork belly, chicken gizzards, onions and I don’t know what else….wrapped in caul fat, breaded and deep fried. Our server told me it was inspired by something Ferran Adria did at EL BULLI. 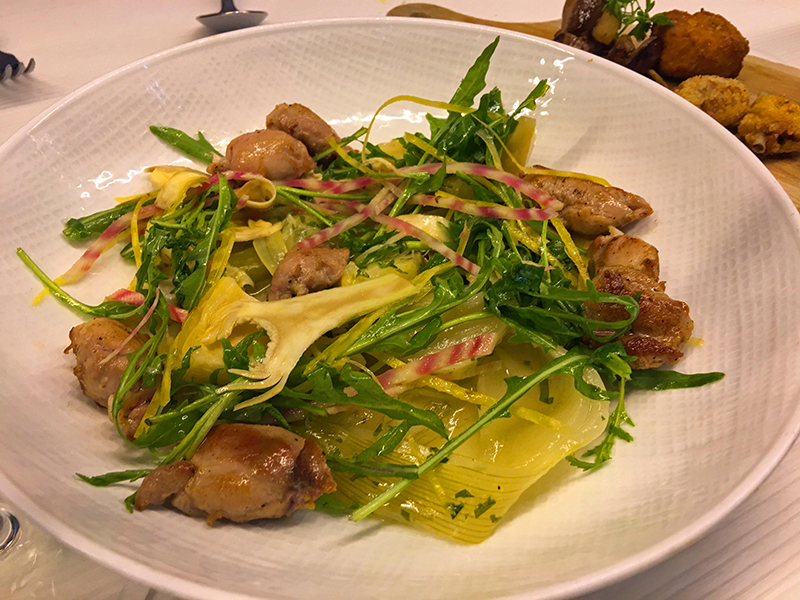 A salad of chicken oysters (those little nuggets on the back side of the chicken; there are only two per bird) along with artichokes, mushrooms, raw and cooked beets and pequillo peppers was a hit, as was the pan-fried foie gras with roasted peach slices. Four pieces, one for each of us, were 29 euros. We didn’t have the FOIE GRAS en CROUTE (it was 39 euros, that’s why.) 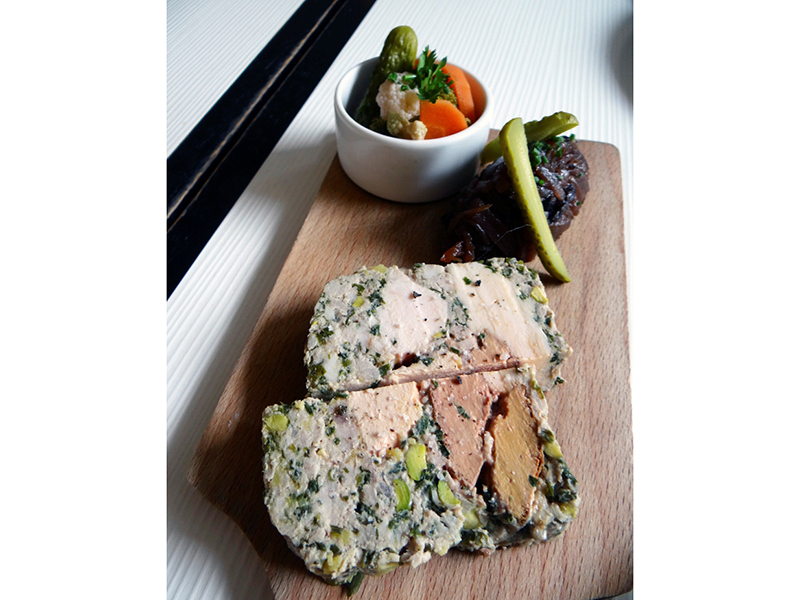 Also, we liked a poultry terrine served with a side of bacon-onion jam….15 euros. 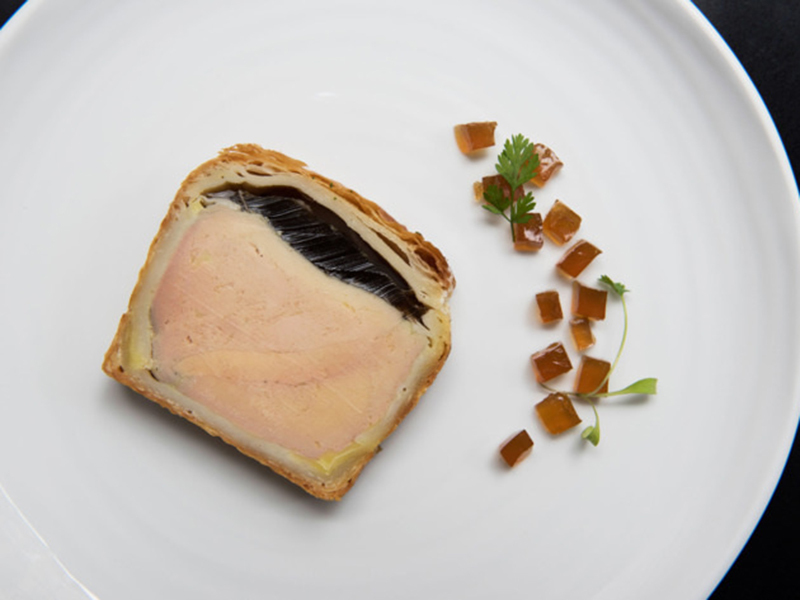 Foie Gras en Croute - 39 Euros, Yikes! 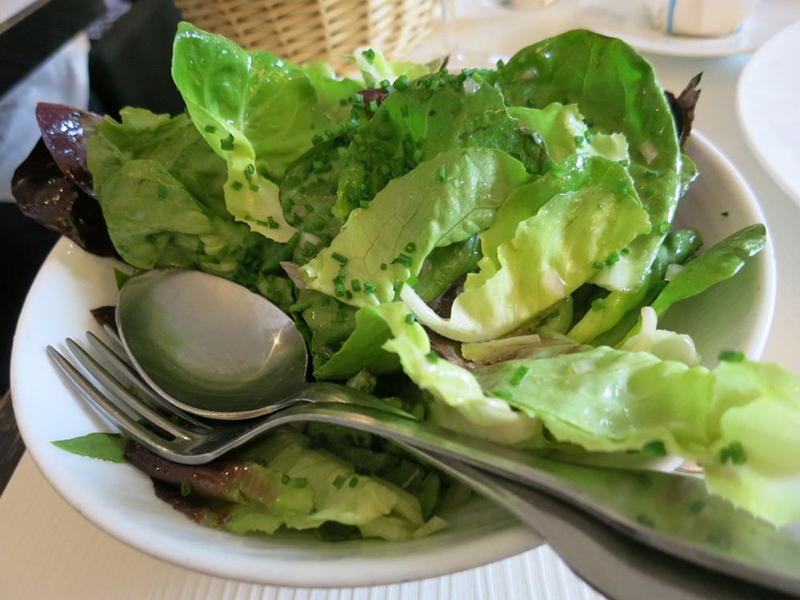 They do have individual portions, but go for the family-style experience if you can. 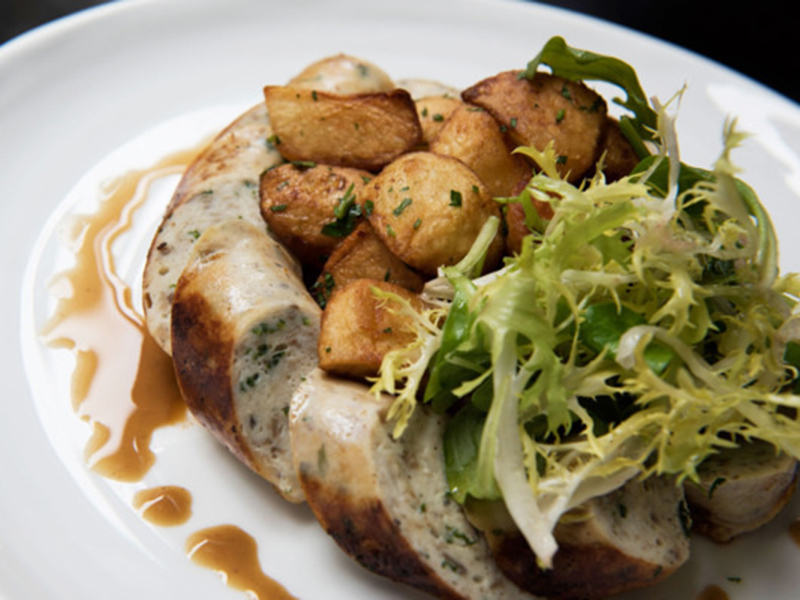 Then again, Tuesday’s individual special was a Chicken Sausage Plate with fried garlic and parsley potatoes, and the orders that passed by our table looked fantastic. 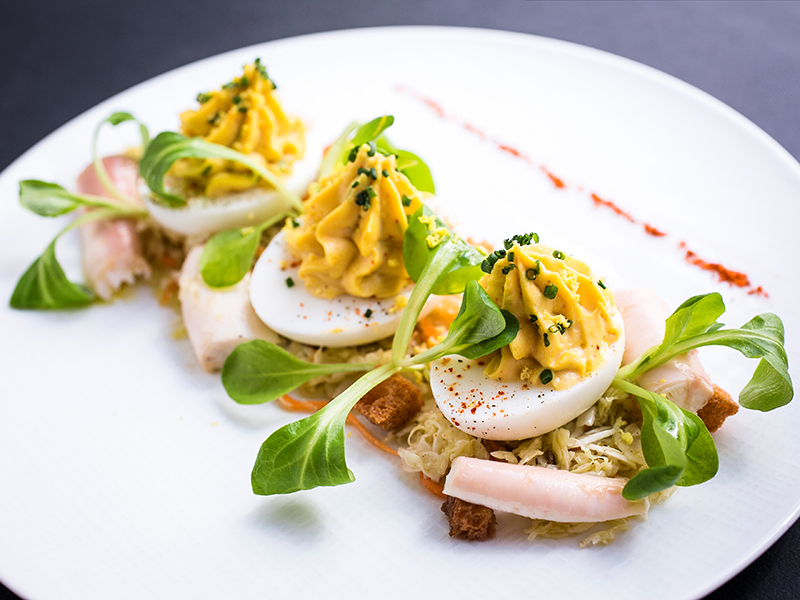 Same with the chicken breast atop deviled cabbage (reflecting Westermann’s Alsatian roots? ), and I’ll bet that the Coq au Vin is spectacular. 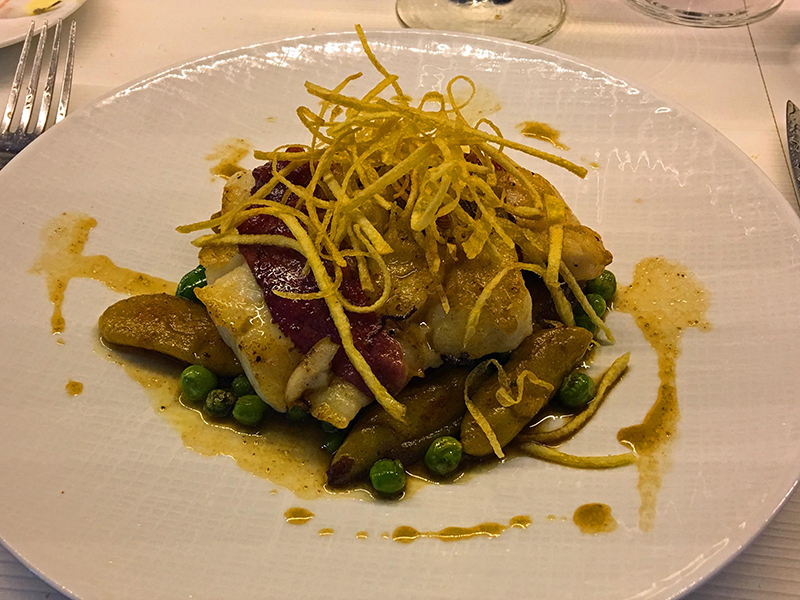 Someone seated beside us ordered roasted cod. NO, NO, NO….That’s NOT why you come here!!! 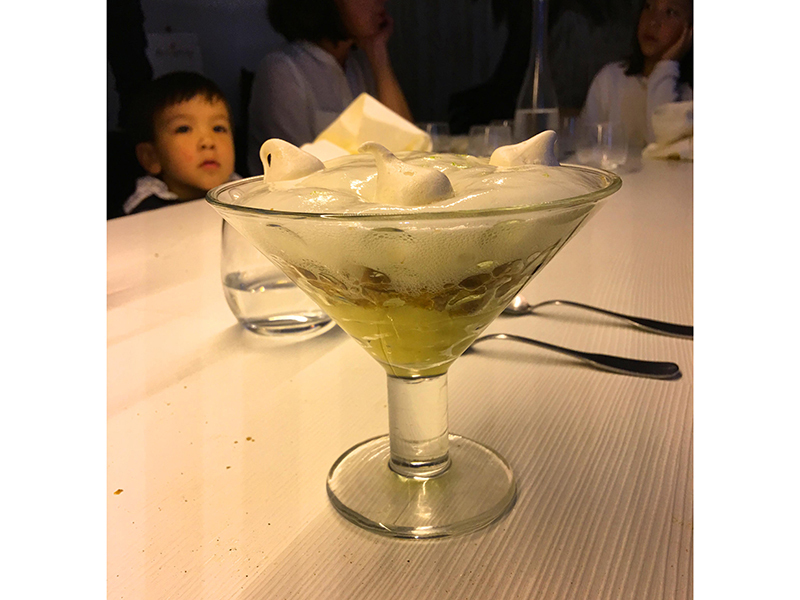 Desserts? All good. The lemony citron crumble was refreshing after a grossly indulgent three-hour dinner. 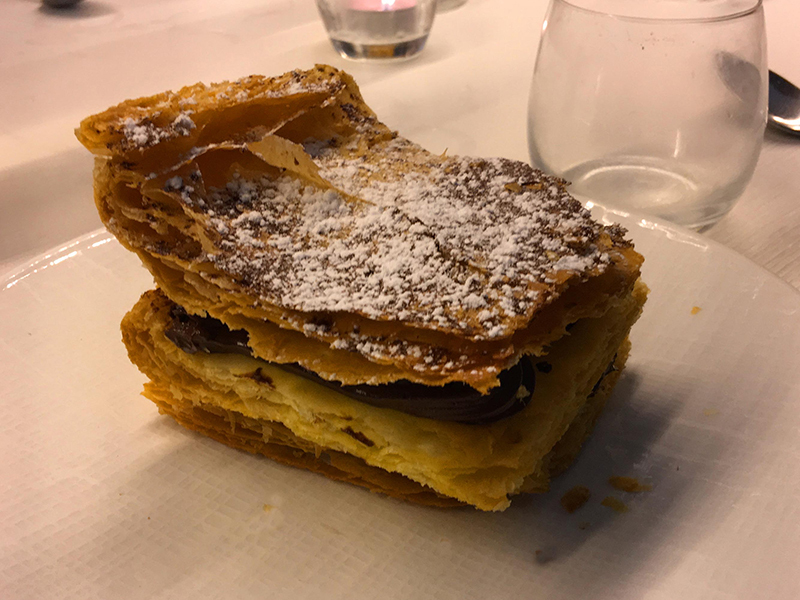 Ditto the chocolate millefeuille. 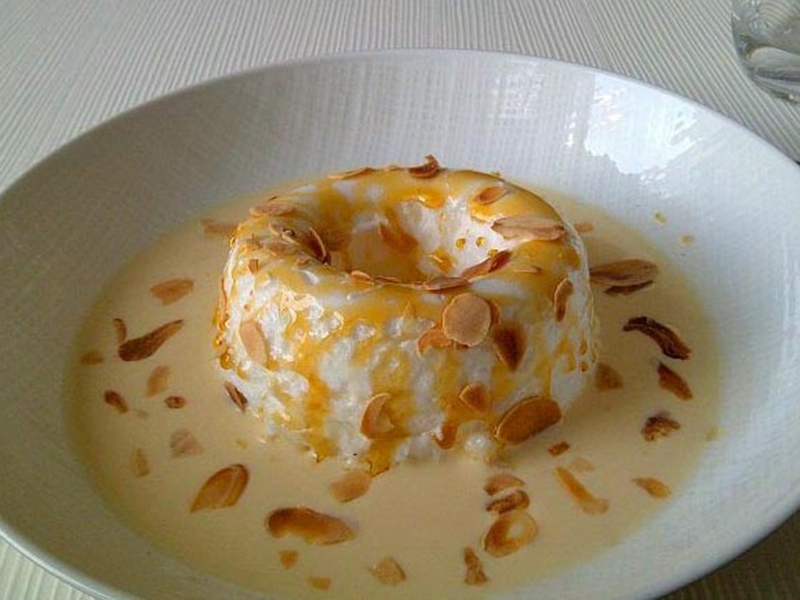 But the best was Le Coq Rico’s signature Ile Flottante (“floating island”) with toasted slivered almonds all resting in a pool of crème anglaise. Plan on spending about 100 – 125 euros per person depending on the quality and quantity of the wine you drink. 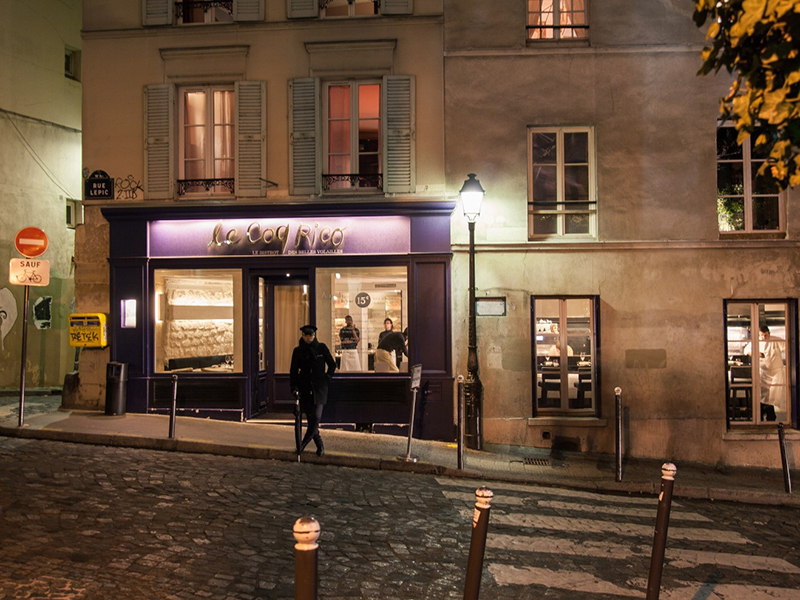 The address is 98 Rue Lepic. Now, here’s some recent good news. 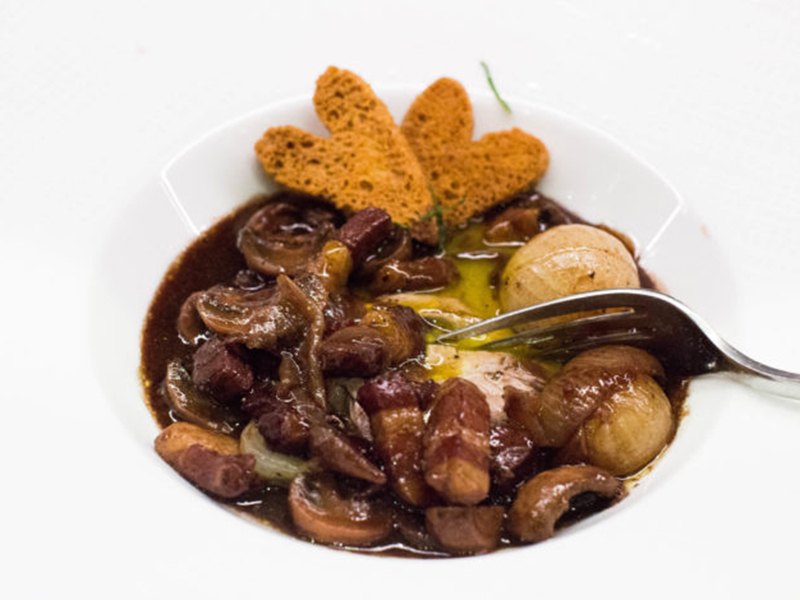 Le Coq Rico has opened in New York…..on 20th Street in the Flatiron neighborhood. 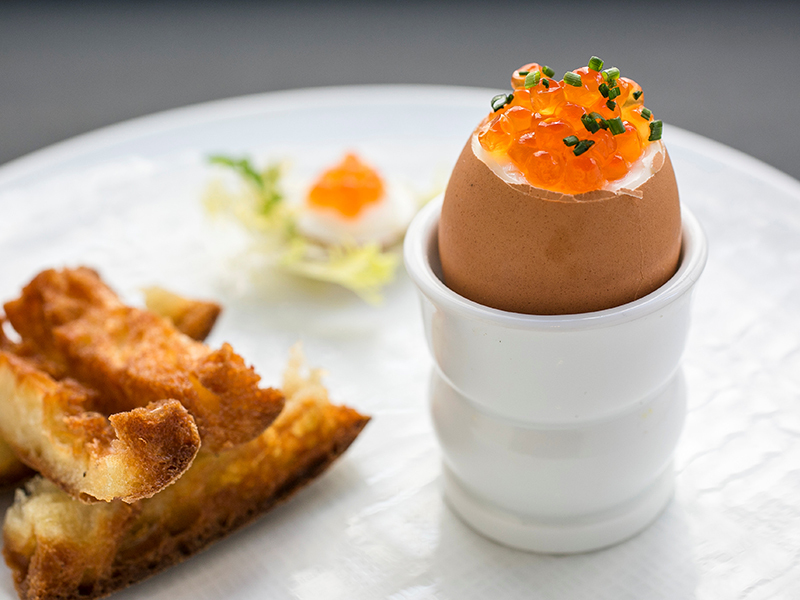 The New York Times’ restaurant critic, Pete Wells, awarded it two stars. 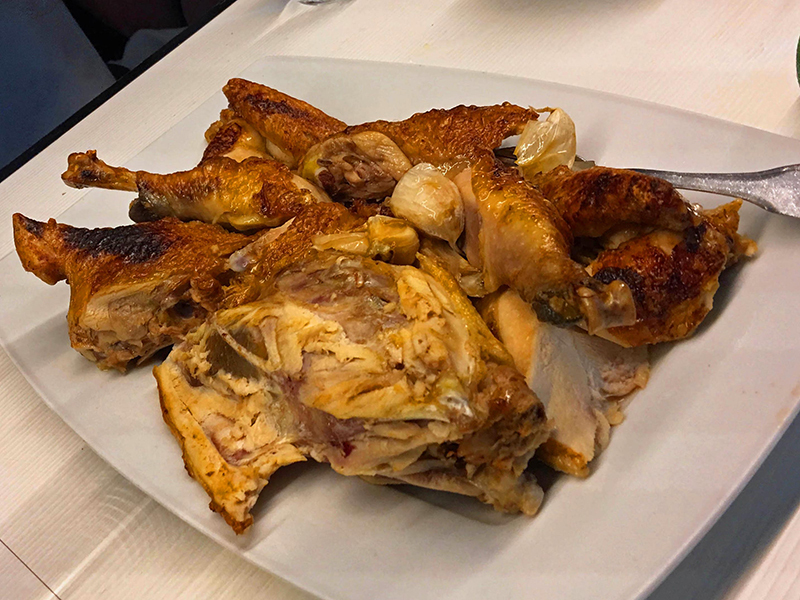 I would have expected three, but perhaps because the restaurant is new or maybe because you can’t get Bresse chickens in the U.S. it only received two stars. If you are planning to be in New York, I’d sure give it a shot. 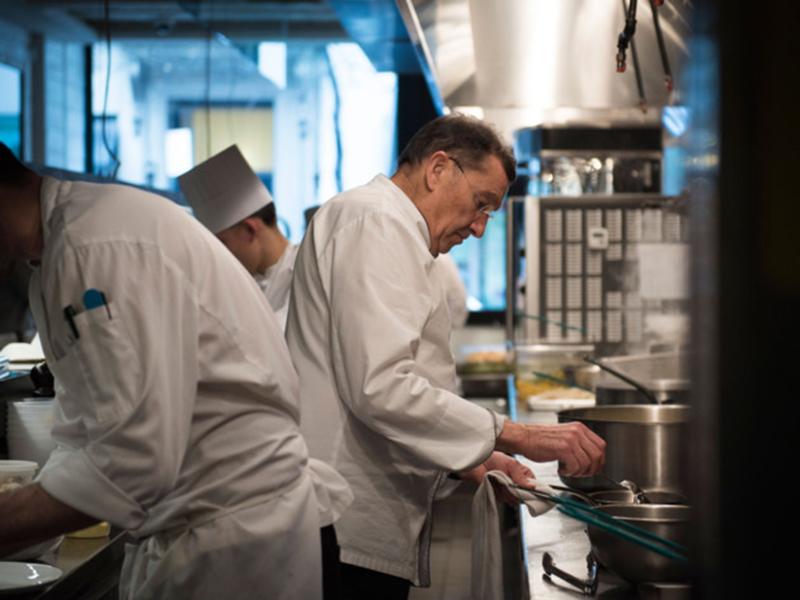 And speaking of chicken – all parts of the chicken – just this past week Pete Wells bestowed three stars on a yakitori restaurant called Torishin, where you start with dark neck meat, then proceed to tenderloin, livers, oysters and so on. 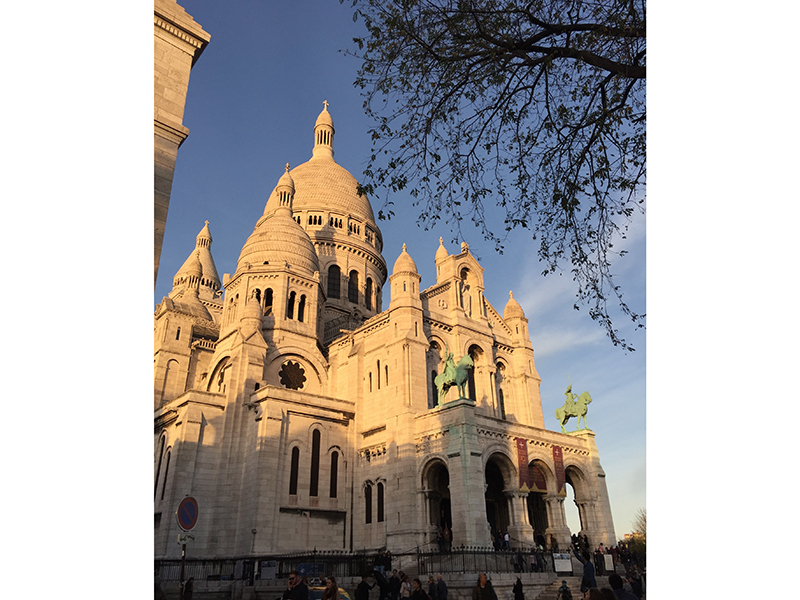 But then again……what can possibly compare to eating Bresse chicken in the shadow of Sacré-Coeur?